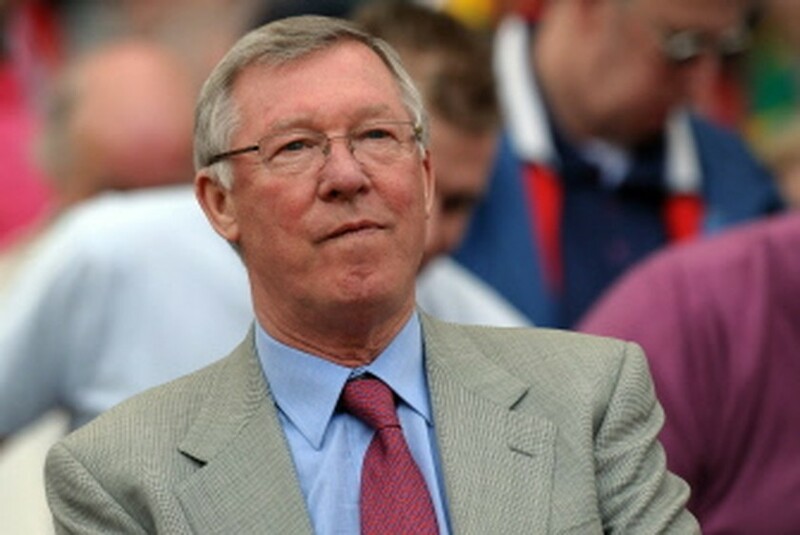 SUNDERLAND, England, May 3, 2010 (AFP) - Sir Alex Ferguson admits Manchester United are "clutching at straws" in their bid to win the Premier League for a record fourth consecutive time. But the Old Trafford boss insists his team will push Chelsea all the way after setting up a dramatic last-day shoot-out to decide the destiny of the title. Portuguese midfielder Nani struck before half-time to seal a comfortable 1-0 win at mid-table Sunderland on Sunday to pull within a point of Carlo Ancelotti's leaders, albeit with a vastly inferior goal difference, ahead of Sunday's final round of fixtures. United must beat Stoke, who were humbled 7-0 at Stamford Bridge last month, and hope the hugely inconsistent Wigan, who beat Chelsea at home in September, pull off a major shock to deny the Blues a first title in four years. Ferguson admits it is a highly unlikely scenario as, for the fifth time, the Premier League heads into its final weekend with the title still up for grabs. The Scot, who wasn't this time indulging in his famed mind games, more just stating facts, said: "All we can do is to win our game next week but we're clutching at straws a little bit." The towel hasn't yet been thrown in and Ferguson retains some hope of a footballing miracle taking place at the weekend to pave the way to a record 19th top-flight title. He added: "Wigan are a very good football team and they'll go to Chelsea and have a go so you never know what could happen. It's a crazy game. "Manchester City did us a favour in beating Chelsea twice this season and Wigan are another neighbour of ours so we'll see." Ferguson insists United must take care of business against at home to a Stoke side beset by internal dressing-room strife before turning their attention to events at Stamford Bridge, and he added: "The most important thing is for us to win our game and enjoy it. "We're in front of our own fans, there'll be 76,000 there and we'll play the right way and we'll play with a lot of dignity. You never know what might happen. "It would be an incredible achievement because I don't think four in a row won't be done again. The fight goes on." Despite their industry and the seemingly close scoreline, Sunderland were easily beaten, and Ferguson added: "We were bright and created plenty of chances, but a single-goal lead is never a healthy score away from home. "We got there, that's the important thing, and three points stretches it out until the last day, it keeps the nerves going." Sunderland manager Steve Bruce, the former United skipper who lifted their first Premier League title in 1993, said: "It takes it to the last game but it'd take an almighty crash by Chelsea for United to nip in there at the death. "I can't see Wigan beating them, it's a big ask. United will keep going right until the end, but Chelsea are strong favourites." United broke the deadlock on 28 minutes as their weight of pressure finally told at the Stadium of Light. Ryan Giggs' harmless-looking cross from the left was turned into something altogether more threatening by neat inter-passing from Wayne Rooney, Dimitar Berbatov and Darren Fletcher inside Sunderland's box before the ball found its way to Nani, who made no mistake with an angled drive into the bottom corner from 12 yards. Sunderland defender Michael Turner almost diverted Giggs' cross into his own net shortly afterwards, while the unmarked Berbatov spurned the first of three golden opportunities to secure the points either side of half-time.